Commercial radio may be Sarah Yovetich’s first love, but a story she produced for UM News in the fall semester won 12th place in the Hearst Awards TV News category. The piece, “Budget Cuts Result From Decreased Enrollment, State Funding at University of Montana,” took three weeks of research, interviews and editing to compact the news into a minute and 36-second long story. Yovetich’s photographer for the piece, Peter Riley, pitched the idea after the budget cuts were released right before Thanksgiving break. “We never thought anything was going to come out of it,” Yovetich said. But the campus unrest that followed proved otherwise. Back on campus, Yovetich just finished serving a full year as the president of the Alpha Phi sorority’s Chi Chapter. The sorority’s helped her with scholarships and academics, as well as serving as a second family to her. Yovetich helped return the support to her sisters through motivational Instagram posts that share her dedication to power-lifting regimes. She now holds five state records in the squat, bench press, and dead lift. 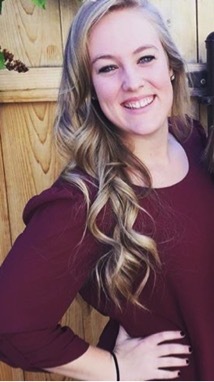 When she graduates in May, Yovetich’s ready to take her journalism skills beyond Missoula. She’s staying open to opportunities in both broadcast and radio fields to continue gaining more experience.